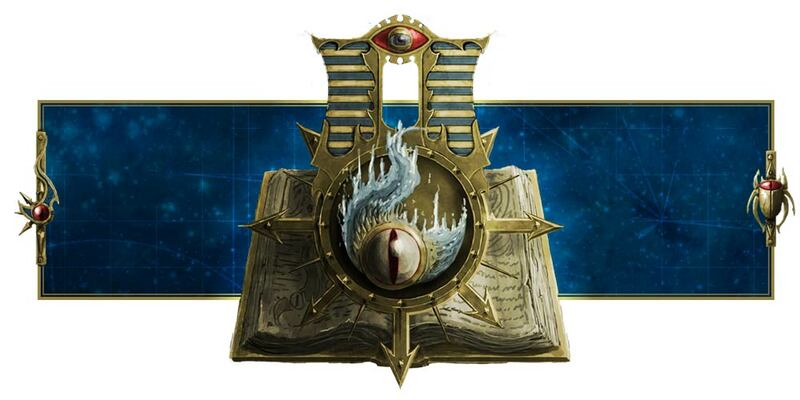 In any case, Warhammer Community has posted details regarding Drop Force Imperator. Wait, what on Holy Terra is that?! 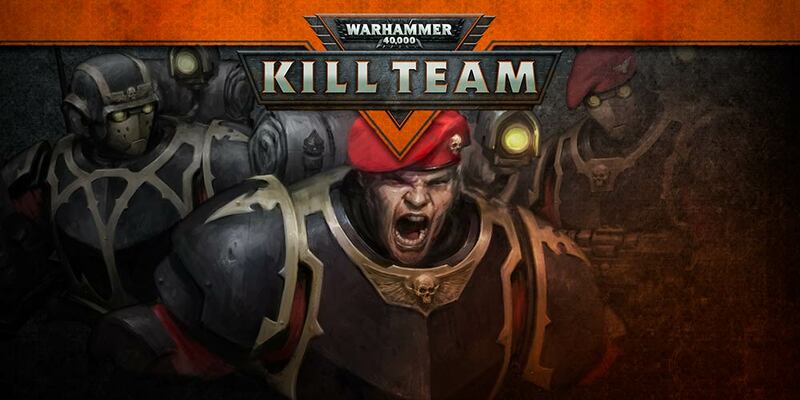 Well, it's just a fancy name for the Astra Militarum Kill Team...or rather, the Militarum Tempestus Kill Team. What the feth are you yelling for?! Keep your mouth shut, Tempestor Prime, or you'll breathe in Nurgle fungus or Tyranid bio-spores! So what do we get in the Drop Force Imperator box? 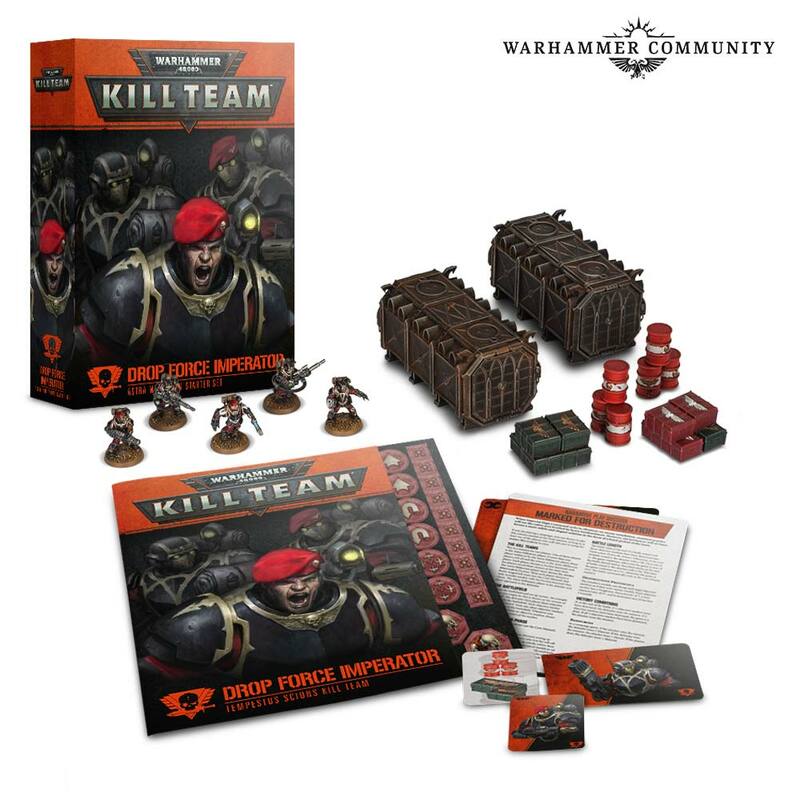 As I said yesterday, we get 5 Storm Troopers - uh, they're Militarum Tempestus Scions now - a bunch of new terrain, and new rules for an Imperial Guard Kill Team. Cool. Wait, what? They're cast in colored plastic? So we don't have to paint them? Cool beans! I might just get those because...I don't know. 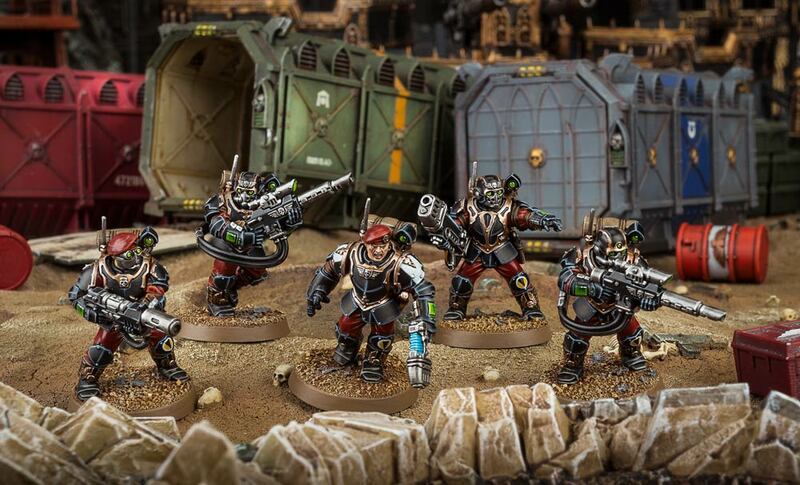 Whatever the case, this looks pretty cool, and it seems the prefilled Kill Team as specified in the datacards equip them with a plasma gun, a plasma pistol and a meltagun. Nice. We also have a bunch of cool tactics, and as you know, with the Imperial Guard it's always about order. Not just maintaining order, but also issuing and obeying orders. With Sir, Yes, Sir!, you can ensure not just one but all your models except your team leader get the benefit of orders. It does cost a hefty 2 Command Points though. We also have a cool Reconnaissance Protocols for our Storm Troopers to set up your Sergeant with a power fist for a charge. Do take note that while you can potentially fluff your 2D6" roll, the tactic gives you the option to "move up to" 2D6". That means if you roll 2 ones or something, you can choose to move their full 6" instead. That would waste your Command Point, but...yeah. I would much rather move up to 1D6" in addition to the normal Move characteristic. Too bad. Oh, but what is interesting are Tactics that allow you to interact with the terrain and even receive benefits from them! Just look at how the humble Munitorum Crate or Munitorum Armored Container becomes a stalwart pillar of morale that allows you to subtract 1 from Morale tests done for models within 1" of it for the rest of the battle. Wait, they're calling Morale tests Nerve tests now? Did they go Shinseiki Evangelion or something? Should I call Ikari Gendou and the rest of Nerv? But what if you do not need the models or terrain, because like me, you already have a bunch of Militarum Tempestus Scions lying around? I count 60 Storm Troopers, including 20 metal Kasrkins, a Vendetta gunship, a Valkyrie and 3 Taurox Prime APCs, almost easily an entire army in its own right. 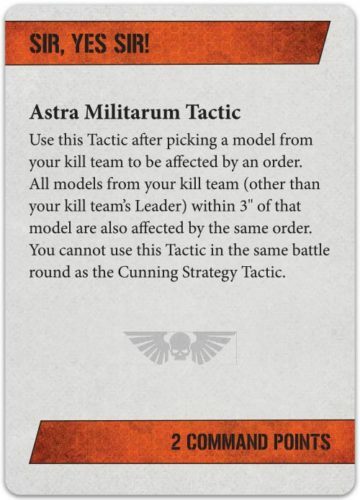 Then you can find the Astra Militarum Kill Team rules in the core manual for Kill Team, which is available for pre-order right now.